Stained concrete is an exciting way to create an infinite array of decorative effects on both interior and exterior concrete at minimal cost. 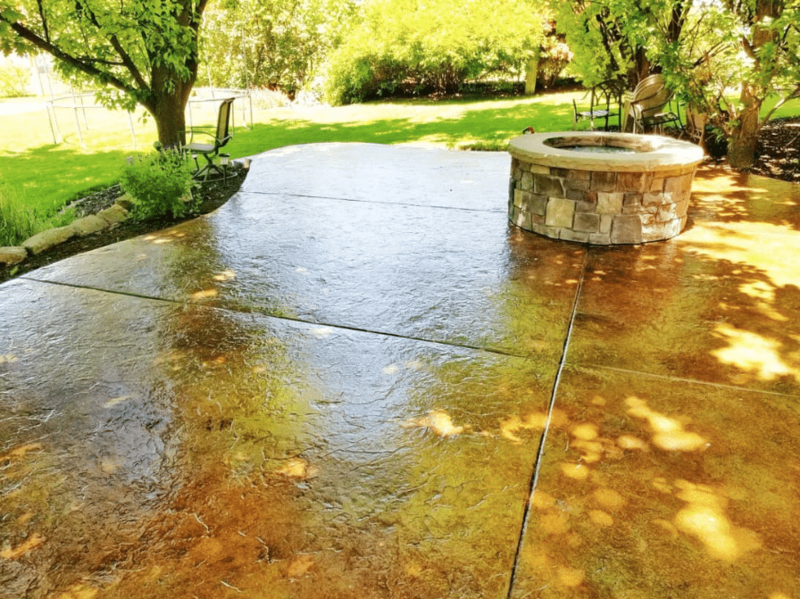 Chemical concrete stains do more than just add color – they infuse color into the concrete to create a rich, variegated finish. Instead of covering the concrete on the surface, like paint or other coatings, chemical stains penetrate or etch into the concrete, allowing the characteristics of the concrete to show through. 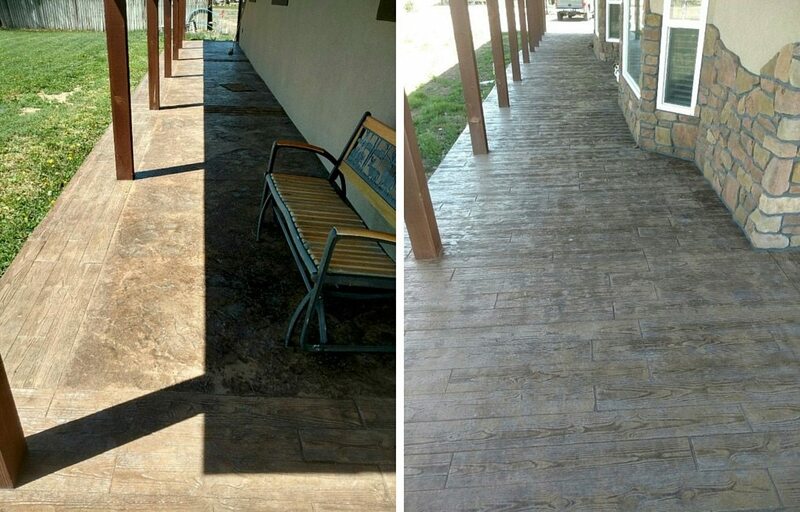 The distinctive effect of chemical stain creates a timeworn patina that complements many decor styles, making it a favored choice for decorative concrete projects. 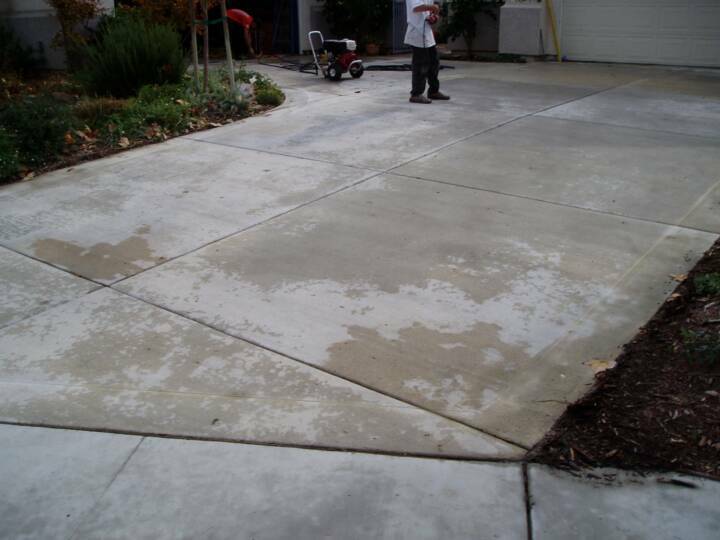 Concrete chemical stains can be either acid-based or water-based. Innotech chemical stains are created with combination of metallic salts in a water-based solution. This slightly acidic solution creates a reaction with the lime content in cured concrete, and may be applied to new or existing concrete that is free from sealers, paints or other coatings. Innotech acid stain products actually penetrate and remain in the pores to become a permanent part of the concrete, and therefore won’t crack, peel or fade. Chemical concrete stains can be used on walls, floors, countertops and other concrete surfaces. The ultimate effect will be determined by several factors, including the concrete’s age, composition, porosity, and base color (click here for an interactive color chart). 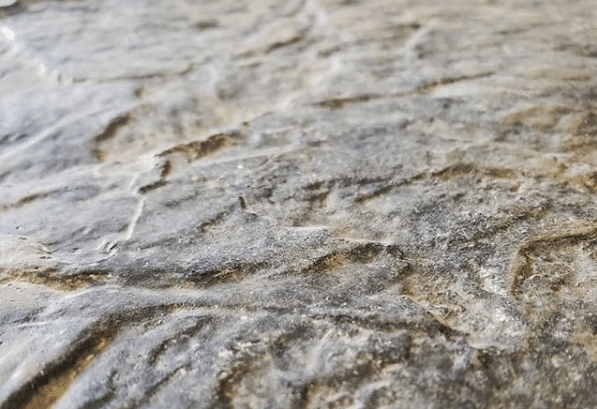 Because concrete chemical stains are translucent, they incorporate the concrete’s surface (including cracks and other flaws) into the finished effect. It’s important to use proper tools and application techniques, or an experienced professional, to achieve desired results, since once the chemical stain is down on the concrete, the color is permanent. It’s important to keep in mind that no two surfaces will come out identical, but this is the true beauty and appeal of concrete chemical stains. Innotech water-based chemical stain is available in a variety of colors, and can be combined with other Innotech products to produce a wide range of color finishes. 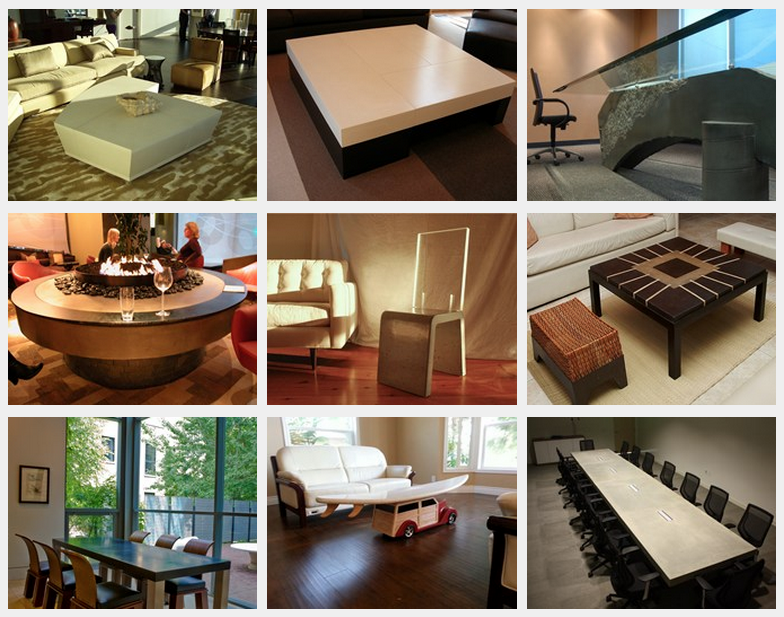 For tips on how to use Innotech concrete chemical stains, visit an Intermountain Concrete Specialties showroom. NewLook International is a leading manufacturer of decorative concrete color stain and restoration solutions, including premium architectural and specialty decorative concrete coatings. Intermountain Concrete Specialties is proud to be an official seller of these convenient and affordable products, which have been used by concrete industry professionals for more than 25 years. To create a beautiful concrete finish, you need an exceptional product. NewLook Original Solid Color StainTM gives old concrete a facelift by changing the color without changing the texture. The non-acid concrete color stain is water-based and breathable so it penetrates the surface of porous concrete to create just about any color. Original Solid Color Stain’s revolutionary formula can be used to cover concrete problems such as oil and rust stains, faded concrete, and to match concrete colors. Original Solid Color Stain is not a paint, but utilizes an advanced polymer-modified formula to create a completely opaque yet breathable finish that does not require an additional sealer. See more NewLook Original Solid Color Stain before and after pictures . 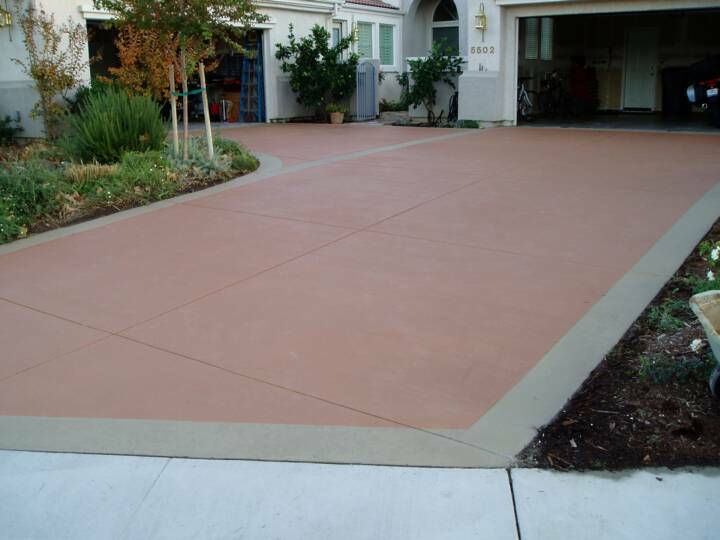 Change any color of concrete without changing the texture, so it looks like integral colored concrete. Most people can’t even tell if the concrete was poured or stained. 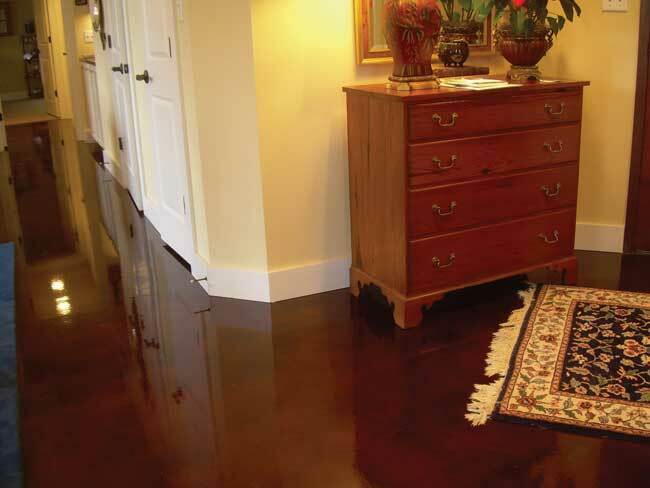 Water-based, non-acid stain penetrates the surface of porous concrete. Breathable formula allows the stain stay in the concrete for a uniform finish. Easy to maintain and reapply without stripping or sanding. Completely covers any color of concrete (even light colors over dark), and is easy to repaint if you make a mistake or change your mind. Hundreds of color options are available. Can be applied over and over again, even same day. NewLook Original Solid Color Stain features a two-coat application process to ensure an even finish. During the process, be sure to keep the product well-mixed with a NewLook broom applicator. 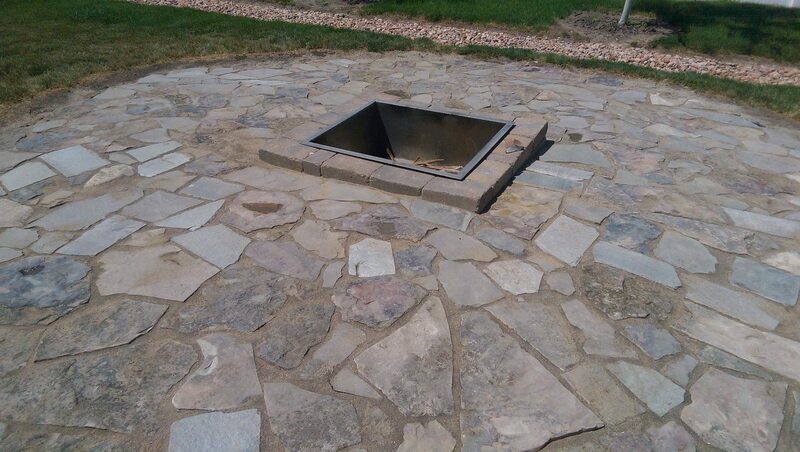 The tools you use can greatly affect the outcome of your decorative concrete projects. We carry a wide range of NewLook products and tools for the most effective application. Visit our website for video tips on applying concrete color stain. Intermountain Concrete Specialties showrooms are a great place to find out about the latest and most reliable concrete products. Stop by any of our six locations to learn more!